Articles and reviews about the performing arts in Sydney – and occasionally beyond. The last day of 2013 seems a good time to look back over what happened on the boards during the last 12 months. Here are some personal arts highlights from Sydney theatre predominantly: productions and people that will live on in my memory long past tonight’s Sydney Harbour midnight firework display heralding a new year. It was a pretty patchy year in musicals. 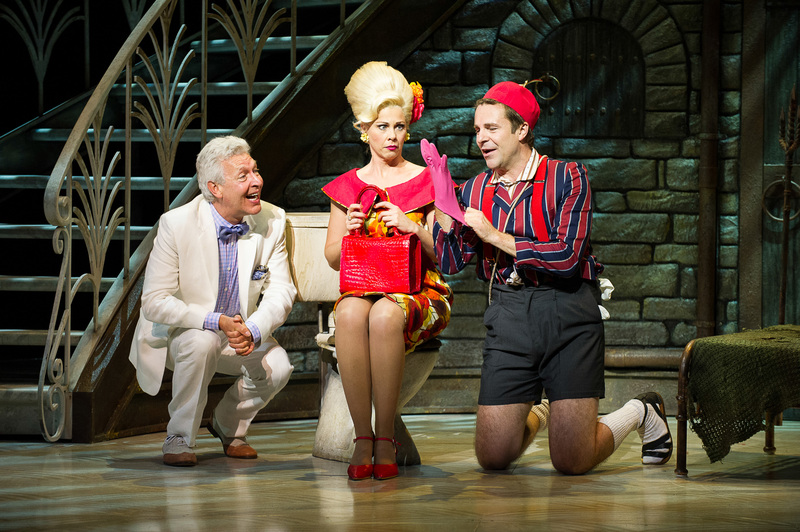 My two out-and-out highlights were The Production Company’s Gypsy in Melbourne and Dirty Rotten Scoundrels in Sydney. Caroline O’Connor was phenomenal as Rose, giving us everything we’d hoped for and so much more: a stellar, unforgettable performance that was both monstrous and heartbreaking. For me, it was the musical theatre performance of the year. Matt Hetherington was impressive as Herbie in Gypsy but really came into his own with a superb performance as the vulgar Freddy Benson in Dirty Rotten Scoundrels. Co-starring with Tony Sheldon – who made a welcome homecoming from the US as the suave Lawrence Jameson, a part tailor-made for him – Scoundrels was a delightful, perfectly cast, stylish, laugh-out-loud production. Amy Lehpamer shone as Christine Colgate and Katrina Retallick was riotously funny in a scene-stealing performance as Jolene Oakes (after another scene-stealing turn in The Addams Family earlier in the year). Scoundrels was a real feather in the cap for up-and-coming producer George Youakim. The show deserved to sell out but despite reviews your mother might write, it struggled at the box office. Instead Sydney audiences opted for the familiar, even when reviews were much less favourable. Confirming its growing value to the Sydney musical theatre scene, indie musical theatre company Squabbalogic led by Jay James-Moody enlivened things immeasurably with terrific productions of Bloody Bloody Andrew Jackson and Carrie with Hilary Cole making an impressive debut as Carrie. The British arena production starring Tim Minchin, Mel C and Ben Forster really rocked with Tim Minchin in commanding form as Judas – giving a superstar performance, in fact. The Lion King proved just as stunning visually a second time around but the first act felt flat with the dialogue scenes slowing the action, not helped by some underpowered performances. However, Nick Afoa made a promising debut as Simba. Premiering in Melbourne, King Kong was an ambitious production and the puppetry used to create Kong himself was breathtaking. In fact, Kong the creature was awesome, the musical’s book less so. Esther Hannaford was lovely as Ann Darrow. Lucy Maunder was the standout in Grease, owning the role of Rizzo. Her moving rendition of “There Are Worse Things I Could Do” was the emotional and musical highlight of the production. Michael Falzon was in superb voice as physicist Leo Szilard in new musical Atomic, giving a beautifully wrought performance. In fact, the entire ensemble was terrific. Written by Australian Danny Ginges and American Gregory Bonsignore (book and lyrics) and Australian Philip Foxman (music and lyrics), the structure of the musical could do with some honing but the show has great potential. I also enjoyed Jaz Flowers and Bobby Fox in the 21st anniversary production of Hot Shoe Shuffle. And what a treat to be able to see Kristin Chenoweth and Idina Menzel in concert at the Sydney Opera House within 10 days of each other. It was an impressive year in Sydney theatre both in the mainstream and independent sectors with a large number of excellent productions and performances. Never has the discussion among the Sydney Theatre Critics in the lead-up to the Sydney Theatre Awards (to be presented on January 20 at Paddington RSL) been so protracted, agonised and, at times, heated. Waiting for Godot, Sydney Theatre Company. Directed by Andrew Upton after an injured Tamas Ascher was unable to fly to Australia, this was a mesmerising production full of tenderness, humanity, pathos and humour to match the bleakness. Richard Roxburgh, Hugo Weaving, Philip Quast and Luke Mullins were all exceptional. Wow to the power of four. The Secret River, Sydney Theatre Company. Eloquently staged by director Neil Armfield, Andrew Bovell’s stage adaptation of Kate Grenville’s novel used both English and the Dharug language to tell the story movingly from both sides. 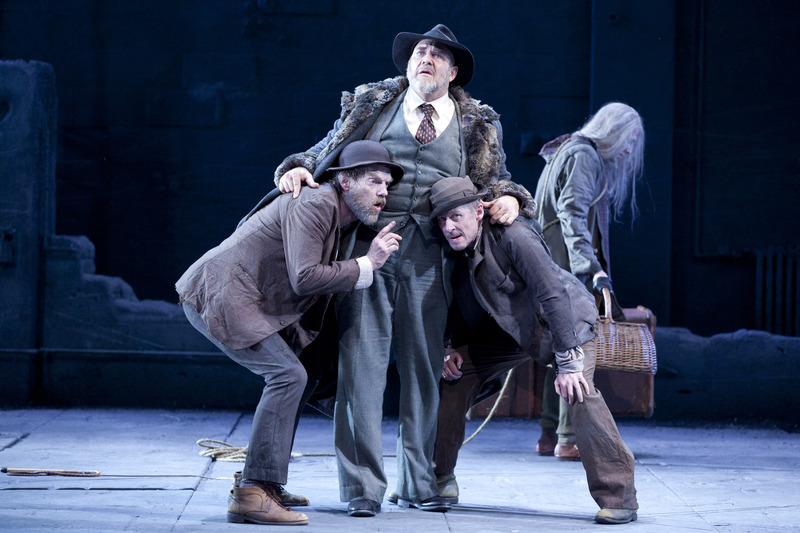 Rosencrantz and Guildenstern are Dead, Sydney Theatre Company. Another fabulous STC production starring Toby Schmitz and Tim Minchin, directed by Simon Phillips on a brilliant set by Gabriela Tylesova that played with optical illusion. Angels in America, Belvoir. Staging Parts One and Two, this marvellous production directed by Eamon Flack confirmed that Tony Kushner’s play is a truly sensational piece of writing that sweeps you up in its epic vision. The fine cast included Luke Mullins, Amber McMahon, Marcus Graham and Mitchell Butel – all superb. (Mullins also gave a fine performance in Kit Brookman’s Small and Tired Downstairs at Belvoir. What a year he’s had). The Floating World, Griffin Theatre. A devastatingly powerful production of John Romeril’s classic Australian play directed by Sam Strong. Peter Kowitz’s performance left you utterly gutted. Valerie Bader was also excellent. The Motherf**ker with the Hat, Workhorse Theatre Company. The independent scene was unusually strong in Sydney in 2013 and this was one of the real stunners. Directed by Adam Cook in the intimate space at the TAP Gallery, the tough play kept you on the edge of your seat. Troy Harrison and Zoe Trilsbach gave riveting, grittily truthful performances. If you missed it, the production has a return season at the new Eternity Playhouse in September. Cyrano de Bergerac, Sport for Jove. Sport for Jove’s outdoor Shakespeare productions are now a highlight on the Sydney theatre calendar. 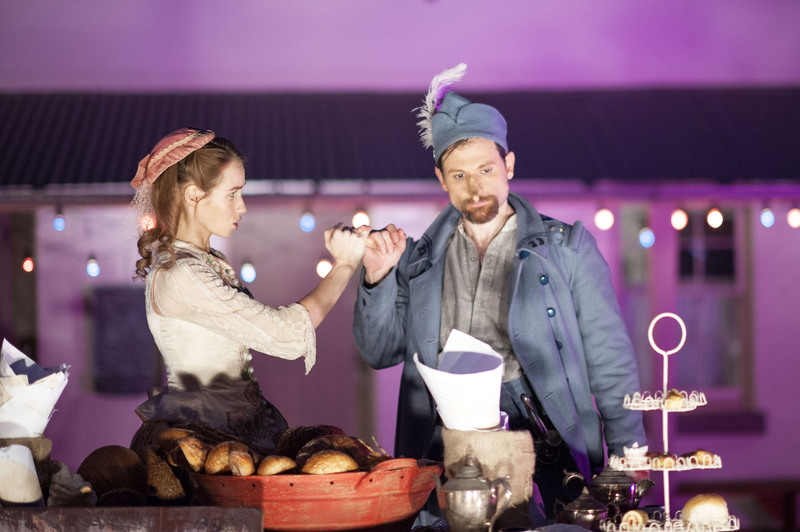 Damien Ryan’s production of Edmond Rostand’s sweeping, romantic comedy Cyrano de Bergerac was gloriously uplifting with an inspiring, verbal tornado of a performance by Yalin Ozucelik as Cyrano. Jerusalem, New Theatre. A wonderful production of Jez Butterworth’s brilliant play directed by Helen Tonkin that has justly snared a large number of nominations at the Sydney Theatre Awards. Penelope, Siren Theatre Company. Kate Gaul directed a tough, challenging, indie production of Enda Walsh’s play, set in the bottom of a drained swimming pool, which riffs on the ancient myth. Another clever use of the small TAP Gallery, here playing in traverse. Sisters Grimm. It was great to see the acclaimed, “queer, DIY” Melbourne company in Sydney with two of their trashy, gender-bending, outrageously funny productions: Little Mercy presented by STC and Summertime in the Garden of Eden as part of Griffin Independent. A hoot, both of them. (How drop dead beautiful was Agent Cleave in Summertime in drag and beard?). Can’t wait to see their production of Calpurnia Descending at STC in October. All My Sons, Eternity Playhouse. The beautiful new Eternity Playhouse, a gorgeous 200-seat venue now home to the Darlinghurst Theatre Company, opened its doors with a fine, traditional production of All My Sons directed by Iain Sinclair with great performances all round, among them Toni Scanlan and Andrew Henry. Besides those mentioned above I loved Sharon Millerchip in Bombshells at the Ensemble, Lee Jones in Frankenstein also at the Ensemble, Cate Blanchett in The Maids for STC, Paul Blackwell in Vere for STC, Ewen Leslie in Rosencrantz and Guildenstern are Dead and in Hamlet at Belvoir (where he took over from Toby Schmitz whose performance I also liked very much), John Bell as Falstaff in Bell Shakespeare’s Henry 4 and Damien Ryan as Iago in Sport for Jove’s Othello. The Ring Cycle, Opera Australia. I was lucky enough to see The Ring Cycle in Melbourne. It was my first Ring and I was utterly thrilled by it. Numerous visual images will stay with me forever as will performances by Terje Stensvold, Stefan Vinke, Susan Bullock, Warwick Fyfe and Jud Arthur among others. As is his forte, director Neil Armfield brought the relationships to the fore and found enormous emotion and humanity. Conductor Pietari Inkinen, who took over at short notice, harnessed the musical forces superbly. A very special experience. Giasone, Pinchgut Opera. 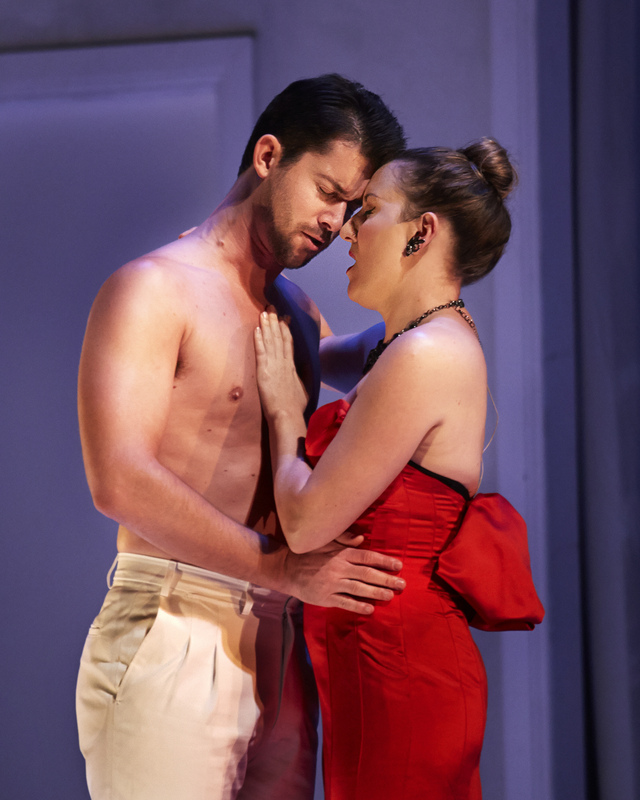 At the other end of the spectrum, small-scale, indie company Pinchgut delivered a sparkling production of Francesco Cavalli’s baroque opera with countertenor David Hansen dazzling in the title role. Cinderella, Australian Ballet. Alexei Ratmansky’s beautiful, witty Cinderella was a joy with some meltingly lovely pas de deux for Cinderella and her Prince, divinely performed by Leanne Stojmenov and Daniel Gaudiello. Jerome Kaplan designed the gorgeous costumes and some clever surrealist staging effects. How lucky we were to see Angela Lansbury and James Earl Jones in Driving Miss Daisy, the National Theatre’s brilliantly bonkers production of One Man, Two Guvnors, Kneehigh Theatre’s Brief Encounter, the Paris Opera Ballet’s exquisite Giselle, Semele Walk at the Sydney Festival, which gave Handel’s oratorio a wacky twist in a catwalk production with costumes by Vivienne Westwood, and firebrand soprano Simone Kermes singing with the Australian Brandenburg Orchestra. There was much, much more. Barry Humphries‘ Weimar cabaret concert for the Australian Chamber Orchestra, for example. In the end, too much good stuff to mention it all. And now, bring on 2014…. The life of Hungarian-American physicist Leo Szilard, who was involved with the development of the atomic bomb, is a dark but meaty subject for a musical with plenty of emotional and moral complexity. However, the new musical Atomic – which is currently playing its world premiere season in Sydney – attempts to cover so much ground while telling his story in linear biographical fashion (apart from an opening scene featuring two young Japanese lovers torn asunder as the bomb falls) that it doesn’t have the depth or impact that it might. Born in 1898 in Hungary to Jewish parents, Szilard trained as a physicist in Germany but was forced to flee the Nazis with his wife-to-be Trude, going first to England and then to America. Having conceived the idea of nuclear chain reaction in 1933, he patented the first nuclear reactor with Italian physicist Enrico Fermi and was co-opted to work on The Manhattan Project where he was involved with developing the atomic bomb that was dropped on Japan, despite his own grave misgivings. After World War II, his work included the development of radiation therapy to treat cancer (which he himself suffered) – something that the musical counterpoints with his guilt about the lives lost in Nagasaki and Hiroshima. Written by Australian Danny Ginges and American Gregory Bonsignore (book and lyrics) and Australian Philip Foxman (music and lyrics), Atomic traces Szilard’s life from 1933, throwing in such a welter of incidents, characters, themes and ideas that in processing all the information (some of which isn’t really necessary) we aren’t able to focus enough on the character of Szilard, his relationship with the loyal Trude as he puts science ahead of family, or the moral dilemma at the heart of the piece. Running close to three hours, it feels as if the writers weren’t quite sure how to end it either. Towards the end of the show there’s a powerful song called “What I Tell Myself” about the guilt that all Szilard’s colleagues are feeling as they lie awake at night, then on we go with yet more biographical narrative followed by a ballad for Trude about her love for her husband, which is beautiful but completely out of place at that point. There’s plenty of interest in there but it needs a tighter focus (a restructure away from straightforward biography perhaps) to really engage you with the characters and themes. Musically, the score is predominantly rock-based, much of it catchy and some of it rousing. There’s also an Andrews Sisters-like song, clearly inspired by “Boogie Woogie Bugle Boy” as well as Yiddish and Broadway influences. However, a comic number called “America Amore” sung by Fermi sits oddly – an all-too-obvious bid for light relief that doesn’t come off despite David Whitney’s energetic performance. For this premiere season, American director Damien Gray helms a well-staged, small-scale production featuring excellent performances by a cast of seven. Neil Patel’s set with its scaffolding and sliding screens that quickly create different spaces as well as moving trains, boats and planes is effective, with dramatic lighting by Niklas Pajanti while Emma Kingsbury’s costumes are terrific. The actors commit whole-heartedly and do a marvellous job, dealing admirably with sound problems on opening night. Michael Falzon is in fine voice as Szilard and gives a sensitive performance that drives the show emotionally. 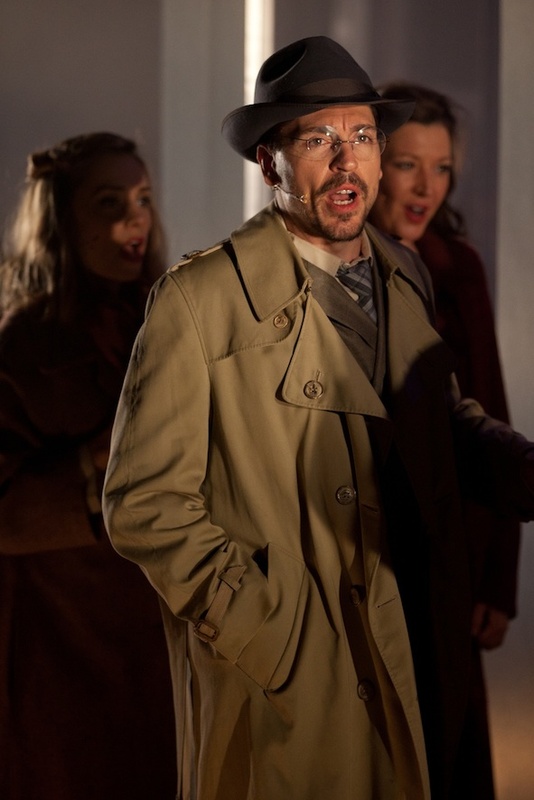 He is well matched by Bronwyn Mulcahy as Szilard’s wife, who also sings beautifully. Blake Erickson, Simon Brook McLachlan, Lana Nesnas, Christy Sullivan and David Whitney are all excellent in a range of cameos and ensemble roles. Atomic has enough going for it to see that it has potential. As it stands now, it’s a long night that never quite soars, but it is well worth future development.